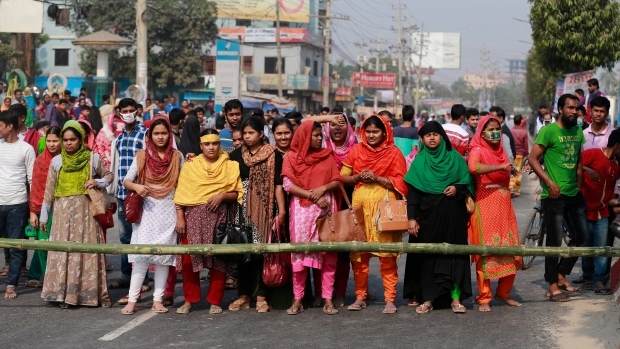 DHAKA, Bangladesh -- More than 5,000 Bangladesh workers who demanded higher wages have been fired by factory owners, and hundreds face police charges in the world's second-largest garment export industry after China, an activist said Thursday. 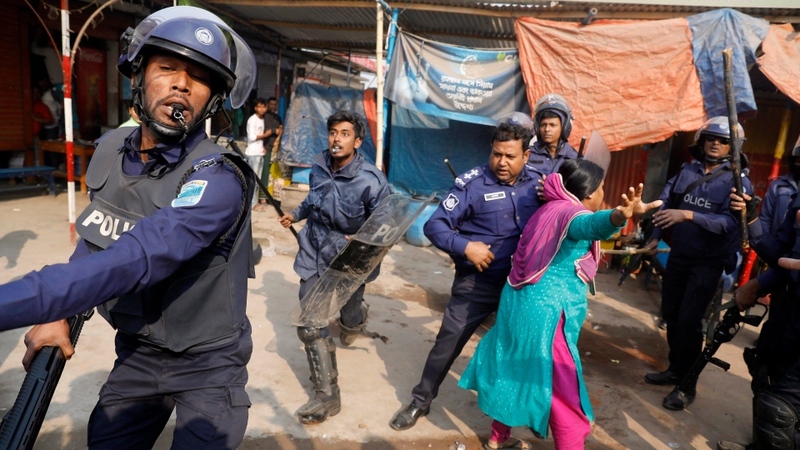 Kalpona Akter of the Bangladesh Center for Worker Solidarity said the firings came after thousands of workers took to the streets earlier this month in and around Dhaka, the nation's capital. But an industry leader said Thursday that the dismissed workers were involved in vandalism or other crimes, or were laid off when factories closed because of business losses. One worker was killed and more than 50 were injured in clashes during the protests in the Ashulia, Dhaka, Gazipur and Savar areas. In November, the government increased the monthly minimum wage for garment workers to 8,000 takas (US$96) from 5,300 takas (US$63). But workers weren't satisfied after having demanded more, along with the implementation of other benefits declared by the authorities. Unions and advocacy groups have demanded up to 16,000 takas (US$193) as a minimum salary, but factory owners say they are under tremendous pressure to meet prices demanded by global brands. The industry exports about US$30 billion worth of garments a year, mainly to Europe and North America. Akter said hundreds of workers are facing looting and vandalism charges and some have also been accused of attempted murder. 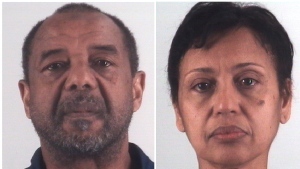 More than 50 workers were arrested and many others have fled their rented homes in the industrial zones, she said. "We came to know at least 5,000 workers have been sacked, but the actual figure by this time could be about 7,000," she said. "Many workers are being harassed." The president of the Bangladesh Garment Manufacturers and Exporters Association said he did not know the exact number of workers who have lost their jobs, and no innocent people were facing any legal trouble. He said the industry has a shortage of workers. "Why should I sack my workers if my business is good, if I make money? We have huge bank loans, we have many other liabilities, why would an owner fire their workers without any genuine reasons?"